For the first time in my whole life I ran 10k in a marathon. The Reykjavík Marathon was on Saturday the 23th of August. My dad and I ran for a good cause in the marathon. He ran half of a marathon, while I ran 10k. Both of us had so much fun, and we are so thankful for that experience. We both donated money to the Duchenne organization here in Iceland. But they send their money to the American DMD organization. 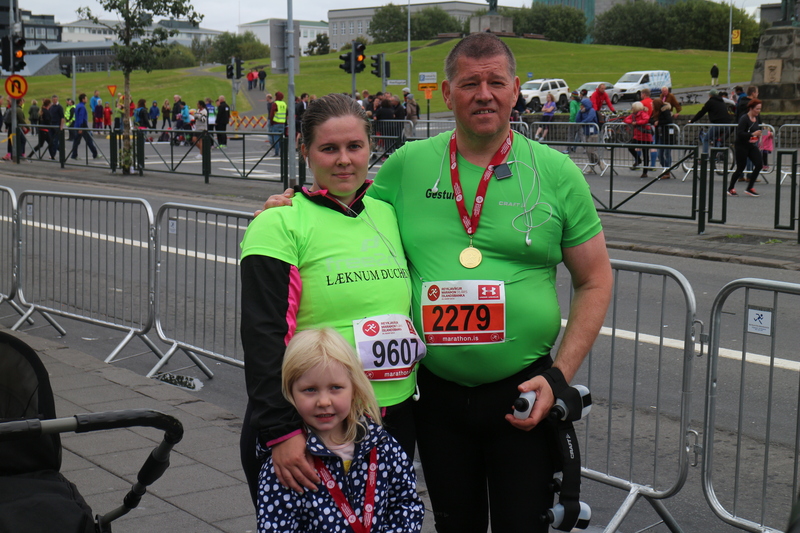 As you can maybe see on the T-shirt I’m wearing in the photo it says in Icelandic: “cure Duchenne (DMD)”. The reason for our donation is that my good friend has two boys that both have DMD. You can read more about the syndrome in the link below. I had the best time while I was running. But I was so tired the rest of the day and the next day. But I’m just so proud of my dad and my self, and of course every runner that ran for the DMD organization! Well done everybody. Now I really want to do better next year and finish on a better time than this year. I hope you all had a very lovely weekend. Mine was awesome. My Sunday night was spent with my good friend Justin Timberlake on his concert here in Iceland.